One of the world's most well-known and celebrated bodybuilding legends, Lee Labrada holds 22 professional bodybuilding titles, including the IFBB Mr. Universe. He is one of few pro bodybuilders in history to consistently place in the top four at the Mr. Olympia competition (the "Super Bowl" of bodybuilding) for seven consecutive years-a feat he shares with Arnold Schwarzenegger. 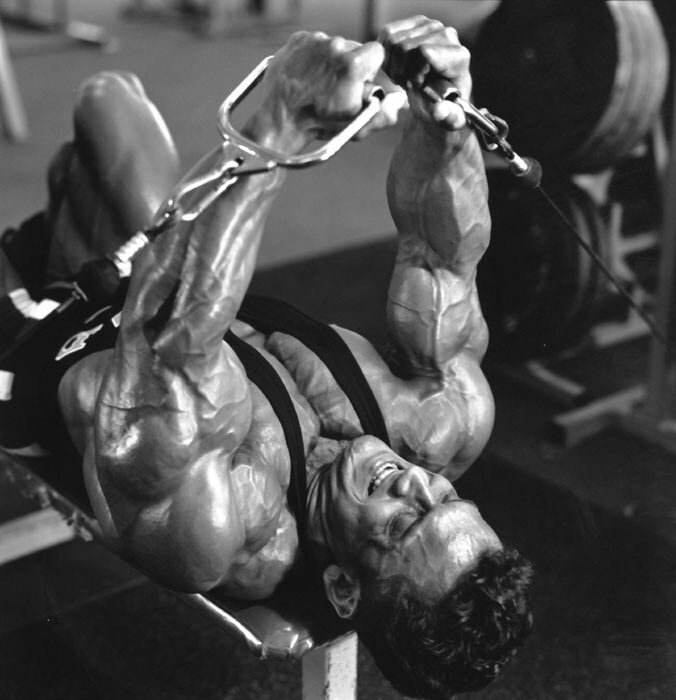 In 2004, Lee was inducted into the IFBB Pro-Bodybuilding Hall of Fame. He has appeared on the covers of more than 100 bodybuilding and fitness magazines and has been featured on CNBC, FOX, NBC, ABC, CBS, CNN and ESPN as a fitness and nutrition expert. Lee's desire to help others reach their health and nutrition goals inspired him to found Labrada Nutrition, and create a line of award-winning nutrition and supplement products. Equally successful in business as he is in the gym, Lee watched his Labrada Nutrition become one of the fastest growing privately-held companies in the U.S.-earning Inc. 500 status-in only six years. Over the past several years, more than 60,000 people have taken advantage of Lee's exceptional nutrition education by subscribing to his free online newsletter at www.leanbodycoach.com. In 2002, Lee was appointed the first Fitness Czar in the City Houston, where he helped launch "Get Lean Houston! ", a health and fitness campaign designed to get the city's residents into better shape. Lee is credited with helping Houston shed the dubious honor of being named "Fattest City in America." Lee brings real-life experience to the nutrition and exercise techniques presented in his best selling book, The Lean Body Promise (Harper Collins). Lee's approach is meant to appeal to anyone interested in making positive physical changes in their body, not just the elite athlete. Lee holds a bachelor's degree in Civil Engineering from the University of Houston and lives in Houston, Texas with his wife and three young sons. Lee Labrada's 7 Days Of Lean Body Meals! Nutrition is one of the most important aspects of your lean body journey, and it can be easy! Here's a complete sample nutrition plan for the first 7 days on the Lean Body Meal Plan. Get lean with the Lee Labrada Lean Body 12-Week Daily Trainer. Sign up for weekly motivation emails to help you through your transformation! Lee Labrada's Lean Body-Friendly Recipes! Nutrition is a key aspect in your transformation. These delicious lean recipes make it easy to stick to the plan! Get To Know Your Trainer - Lee Labrada! This man knows what he's doing. Learn more about the guy leading you through your journey! June 2011 Labrada Lean Body Transformation Challenge Winners Announced! Winners have been announced for the June 2011 Labrada Lean Body Transformation Challenge! See the 12-week transformations & great prizes that were awarded, including a 4-day cruise for 2 to Cozumel, Mexico! Today you have your back and biceps workout and your 26-30 minutes of cardio training. This is the final gym workout, so make sure to push yourself and try your best. Think of this as the grand finale of your lean Body Transformation. This concludes your 12 week Lean Body Challenge. I truly hope that you're proud of yourself for making it this far - I know I am. Today, you have a 26-30 minute cardio workout. Try doing it before breakfast so that you can get right into burning off those body fat stores. For today's episode, you'll be doing your last legs and abs workout for this 12 week challenge, so brace yourself, it's going to get intense. I hope you've taken the time to think about what you'll be doing after you finish this week. With a plan you are far more likely to succeed in the long run. Lee Labrada's 12 Week Lean Body Trainer - Week 12! Start your Lean Body journey now! Get lean with the Lee Labrada Trainer! Welcome to the final week of the Lean Body Challenge. Today you'll be getting your 26-30 minutes of cardio out of the way. Today's workout is back and biceps with 26-30 minutes of cardio when you're done. It's also the last day before week 12, your final week of the transformation. Today is a 26-30 minute cardio workout, so remember to do some interval training to boost your metabolism and fat burning efforts. I hope you had a good sleep last night, because today's legs and abs workout is going to be a challenging one. I hope you're feeling good after that back and biceps workout. You're coming close to the end of your 12 week Lean Body program, so push yourself hard and end strong! Today you're going to head back into the gym for back and biceps.